The National Association of Mold Remediators and Inspectors, (NAMRI) Website offers information for real estate professionals, resources for home buyers, along with professional membership, and national certification for mold professionals. NAMRI is dedicated to ensuring professionalism and trust in the mold inspection and remediation industry by establishing uniform standards of practice and promoting an ethical code of conduct that protects all parties. The purpose of the Apartment Association of Greater Memphis is to promote professional growth within the multifamily housing industry by offering diverse networking opportunities, advocating and encouraging constant improvement of techniques through educational programs; to keep the members informed on legislative issues that affect our industry; and to promulgate a Code of Ethics for the purpose of maintaining high standards and sound business practices to meet the needs of the property owners, management companies and rental housing community. Arkansas Home Network is a CONNECTION of both home service professionals AND homeowners/Renters in Arkansas to bring you the best of both worlds. To connect the homeowner with a vast supply of quality professionals that can assist them with their home needs. Each member is rated by other homeowners in Arkansas and given a score based on their performance on each job and each business is asked to accept the Arkansas Home Network pledge in order to become a member. This allows the homeowner to have a better idea of what to expect from the home service professional, whether they are reputable, will do the job in a timely manner and if they have found a good deal with that vendor. In contrast, the network can help the home service professional know, going in, if this homeowner is good to pay and if the job is worth the time investment before the job begins. A badge earned from HomeAdvisor.com after a company has been screened, background checked, and verified by the Home Advisor team. Redeemers Group is proud to contribute to educating and helping the real estate community. MAAR's vision is: We envision every REALTOR® to be highly skilled and ethical in the delivery of service to all real estate consumers. Founded in 2001, MIG exists to serve the Memphis-area real estate investment community.Their mission is to provide its members the education, training, motivation and networking opportunities that will further the member's ability to successfully invest in real estate as well as building, strengthening and investing in the community in which we live. With the support and investment of our members, we work hard every day to fulfill the Chamber's mission to grow the Memphis economy, market the region to selected parts of the world, and provide excellence in service to our members and all of Greater Memphis. We are proud to be an accredited business with the BBB with an A+ rating. For over 100 years, BBB has helped people make smarter decisions and is evolving to meet fast changing marketplace needs. A national company for the industry's best mold inspection and remediation training along with software and support. 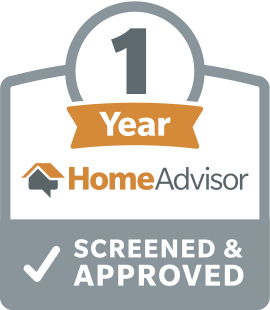 Home Advisor reached out to us and awarded us their 1 year badge for having participated in their screening and approval process for a full year. I.I.A.Q.C. is dedicated to bringing practitioners together to prevent and solve indoor environmental problems for the benefit of customers and the public. We believe in better buildings; places that complement our environment and enhance our communities. Places that give people better, brighter, healthier spaces to live, work and play.